The 2019 Volkswagen Golf SportWagen has plenty of company in its segment, but no real competitors. Everything about this Volkswagen sedan makes your day-to-day that much simpler. 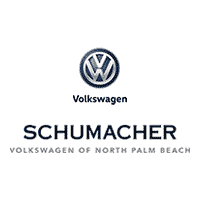 You can count on the personnel at Schumacher Volkswagen of North Palm Beach to keep your car buying experience honest and stress-free. Schedule your personal test drive around Lake Park with one of our team members today. Why the 2019 Golf SportWagen?